P N Subramanian is the global vice president of human capital management and played an integral role since the inception of Utopia Global, Inc. Mr. Subramanian is part of the leadership team and helps in shaping the business’ strategy, identifying human capital priorities, and developing critical deployment plans in the effort to deliver high performance and productivity. He also heads the operations of Utopia’s India location. 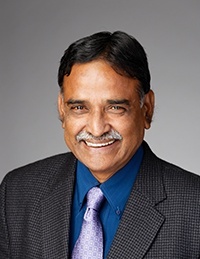 Throughout Mr. Subramanian’s career he has developed an understanding of the type of people it takes to keep a company running at its best due to holding a variety of positions from general management to marketing to technology transfer. This experience coupled with his strong and passionate entrepreneurial background has provided him with the knowledge and experience for building high performance human resource teams that successfully bring and sustain quality talent into an organization. He holds a Bachelor of Engineering (mechanical) and Masters of Business Administration (MBA) from the Xavier School of Management (XLRI). In his spare time you can find him deeply involved in social activities and heritage conservation. Mr. Subramanian strongly believes in giving back to society and leads a program called the “Joy of Giving” within Utopia. He is a key member in various organizations and bodies like The Indus Entrepreneur, Confederation of Indian Industry, and Rotary India.